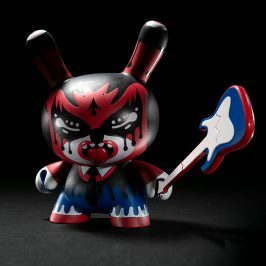 Inspired by Huck Gee’s long awaited Gold Life Dunny Series comes a limited edition 2-Pack. 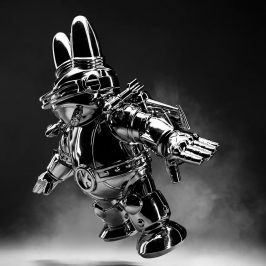 Gee puts his unique Asian Pop spin on the traditional ways of the Samurai with unparalleled attention to style, color and detail. 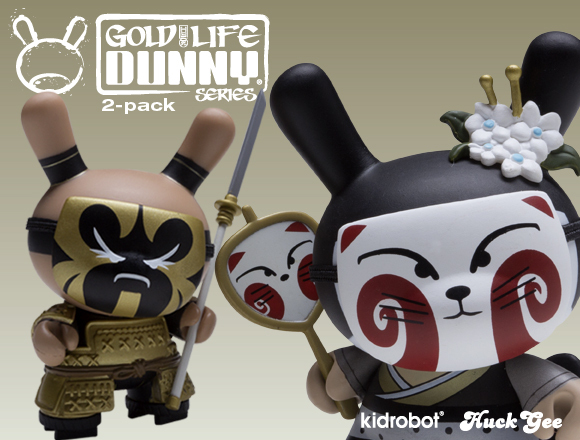 The two 3-inch Dunnys bring two key players in the Gold Life tale to life – “Kabuki” The Masked Ronin and “Kitsune” The Seven Tailed Geisha. 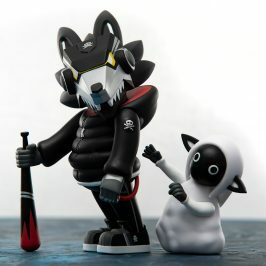 The ronin comes equipped with a razor-sharp Samurai sword, mask to terrify his opponent, and traditional sandals, while his trickster companion comes with a detailed mask, a flower garland, sandals and a mirror holding her masked gaze. 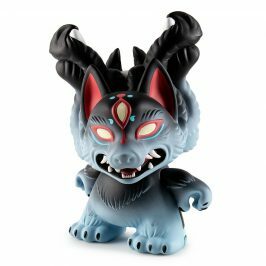 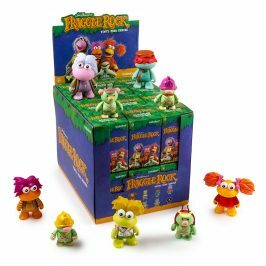 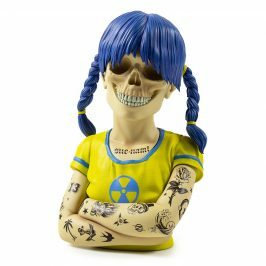 Available beginning September 1 in Kidrobot stores, kidrobot.com and specialty retailers worldwide for $29.95/pack (£24 UK; 27.80€ Europe).